“Karni Sena called my office to threaten. They dared my office to complain,” Harish Salve said. If the eminent jurist was worried about the threats, he did not show it. Instead, he put on a brave face and carried on as if it was business as usual. The provocation for the alleged threat by the Karni Sena is the fact that Harish Salve represented Sanjay Bhansali and the producers of ‘Padmaavat’ in the Supreme Court to challenge a ban on the movie by certain States. 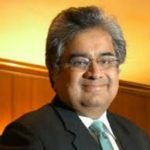 Harish Salve argued before the Bench that the ban is prima facie bad in law and could not be sustained. The Supreme Court accepted the submission and passed an interim order and made it clear that all states are constitutionally obliged to maintain law and order and prevent any untoward incident during the screening of the film after permission has been granted by the Central Board of Film Certification (CBFC). Delighted with #CJI Dipak Misra's liberal order staying state bans on #Padmaavat. Those who oppose the film have 2 options: 1) Don't watch it. 2) Protest against it peacefully. Period. This act of Harish Salve of opposing the ban on the movie did not go down well with the Karni Sena. They apparently called up Salve’s office and threatened his young secretary of dire consequences. Thankfully, the police have swung into action and thrown a ring of protection on Salve and his family members to avoid any untoward consequences. In a democracy, people have the right to peacefully protest. Legal options to ban #Padmaavat should be explored. Freedom of Speech does not mean insult of our Noble Rani Padmavati. It may be recalled that the Karni Sena has also threatened that the Rajput women folk will commit ‘Jauhar’ if Padmaavat is released. However, the officials of the Karni Sena stayed defiant. One of their officials was quoted as saying that such threats are necessary because “Laaton ke Bhoot Baato Se Nahin Maante” (Stubborn people don’t listen unless force is used). Naturally, leading citizens were unhappy with the sorry state of affairs in the Country where eminent jurists are being handed out death threats for doing their job in an efficient manner. Suhel Seth made his disgust clear. Hey you KARNI Sena cowards. You call up HARISH SALVE’s office; abuse and threaten his 28 year old secretary and then claim to be protectors of women? You are bullies and vermin and need to go back into your caves you rogues. Some citizens reminded that Harish Salve has done yeoman service for the Nation by defending Kulbhusan Jadhav from death at the hands of rogue Country Pakistan and that it is unfair that he should be so targeted. Hopefully, better sense will prevail amongst the opponents of Padmavaat and they will let the eminent jurist live in peace!